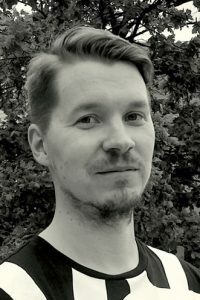 The EMS Young Scientist Award 2017 is awarded to Juha Aalto from the Finnish Meteorological Institute (FMI) for his publication: “New gridded daily climatology of Finland: Permutation-based uncertainty estimates and temporal trends in climate”, J. Aalto P. Pirinen and K Jylhä, Journal of Geophysical Research: Atmospheres, 2016, vol. 121, issue 8, p. 3807-3823. doi: 10.1002/2015JD024651. Juha Aalto contributed significantly to understanding local climate variation in cold-regions, developing a new high-quality long-term gridded time series of seven variables for Finland together with the assessment of interpolation uncertainty, which is the cornerstone of climate services and an essential component in environmental impact studies. 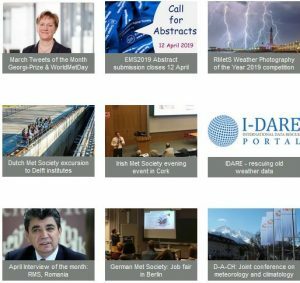 Juha Aalto will give a Young Scientist Award Lecture on his recent work at the EMS Annual Meeting in Dublin, in session OSA3.2 Spatial Climatology: Developing a new gridded daily climatology for Finland, on Friday, 8 September 2017 at 11:30 in Room Business School 2. Juha Aalto obtained a MSc from the Department of Geosciences and Geography, University of Helsinki, in 2011 with a thesis entitled ”Spatial modelling of periglacial features in sub-arctic environment”. At the same institution he obtained the Doctor of Philosophy in 2015 with his dissertation on “New perspectives on climate, Earth surface processes and thermal–hydrological conditions in high–latitude systems”. He is a researcher at FMI’s Climate Center, working in the project Pathways linking uncertainties in model projections of climate and its effects (PLUMES), developing a homogenization routine for the monthly and daily climate data series; he is also part-time employed at the Department of Geosciences and Geography, University of Helsinki, working on the INFRAHAZARD project funded by the Academy of Finland. His post-doctoral project Topoclimate, land surface conditions and atmospheric feedbacks has been selected for funding by the Academy of Finland and will start this autumn. Juha Aalto’s research is focussed on local climate variations and and cold-region land surface processes under climate change. Using a wide range of spatial modelling approaches, he has gained an outstanding expertise in spatial and temporal modelling in geosciences. He has also been active in training activities as a visiting trainer in Nepal, Tajikistan and Kenia, supporting projects for producing gridded climatological datasets. The Award will be presented at the EMS Annual Meeting in Dublin, on Tuesday 5 September 2017 in the Awards Session. Previous EMS Journalist Award 2017 for Astrid Rommetveit Next EMS Outreach & Communication Award 2017 for "Le train du climat & ses messagers"